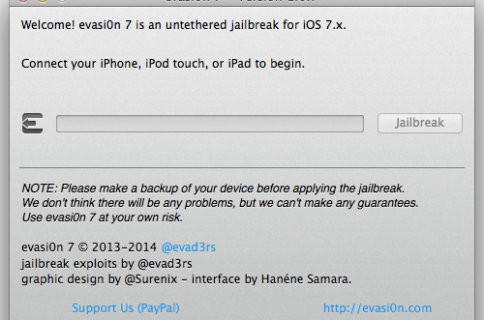 So by now you’ve probably figured out that the evad3rs released a new untethered jailbreak this morning for iOS 7. It’s called evasi0n7, and it’s compatible with all iPhone, iPod touch, iPad and iPad mini models running iOS 7.0 through 7.0.4. The entire jailbreak takes around 5 minutes, and your device will reboot a few times. If the process gets stuck at any point, it’s safe to restart the program, reboot the device (if necessary by holding down Power and Home), and rerun the process. We’ve been getting a lot of comments from readers who are experiencing a wide range of problems after using evasi0n7, including a looping Apple logo and crashes from stock apps like Mail. If you are experiencing these or any other issues, try doing a full restore of your device and then running evasi0n7 again. If this doesn’t work, don’t worry. Pod2g says the team is working hard to fix initial issues, and we’re expecting an update sometime in the near future. So sit tight. We are working heavily on fixing first issues with the initial release of the jailbreak. We have and we’ll update the FAQ on the website. 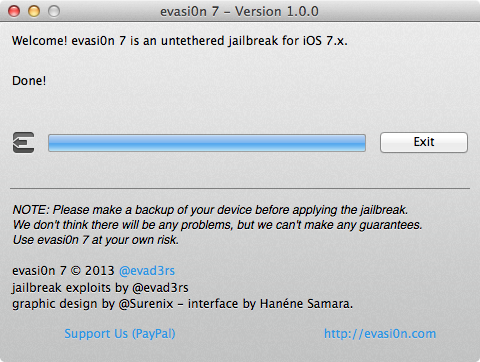 Today’s release of evasi0n7 caught everyone off guard, including Saurik. And because there was never a tethered jailbreak for iOS 7 that had fully working kernel patches, he hasn’t been able to test much. So he has no idea what will and won’t work, and has asked that folks bear with him as he sorts everything out. In fact, @evad3rs didn’t even try my testing build of Substrate I gave core developers, so they didn’t notice a fundamental incompatibility. Also keep in mind that as more people learn about the release of the iOS 7 jailbreak, more will be logging into Cydia. When evasi0n for iOS 6 was released, Cydia had problems keeping up with the traffic, so we wouldn’t be surprised if this happened again. We don’t expect these issues to last long, as Saurik continues to update Cydia over the next several hours and days. We’ve been getting a lot of questions from users regarding tweak compatibility in iOS 7. We are currently compiling a list, but our boilerplate response has been that most tweaks probably don’t work correctly. Again, developers were given little (if any) heads up to this jailbreak release and thus have not had the chance to test their apps and make the necessary updates. Expect this to improve obviously as time goes on, and tweak updates hit Cydia. 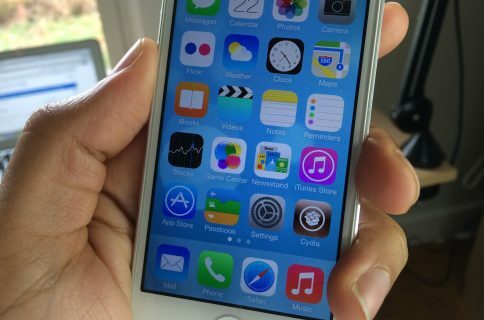 And again, stay tuned for our list of iOS 7-compatible tweaks. If you have any further questions, concerns or comments, please leave that feedback in the comment section below. If another big question comes up, we’ll update this post. 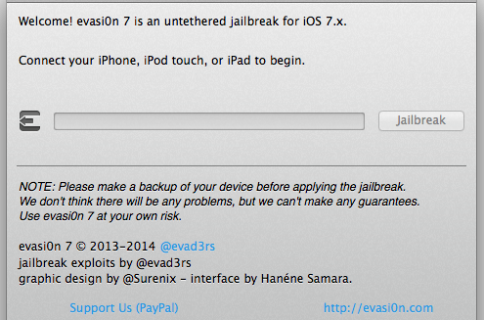 In the meantime, if you haven’t already, you can find evasi0n7 on our Downloads page. Also make sure you refer to our evasi0n tutorial for Mac and evasi0n tutorial for Windows if you need any help with the process.